On the southern tip of the magical Isle of Skye - quality self-catering lodges and luxury suites set in the Clan Donald Lands Trust estate, with nearby landscaped gardens, woodland walks, castle and museum. Comfortable, warm, well-equipped - a home from home. 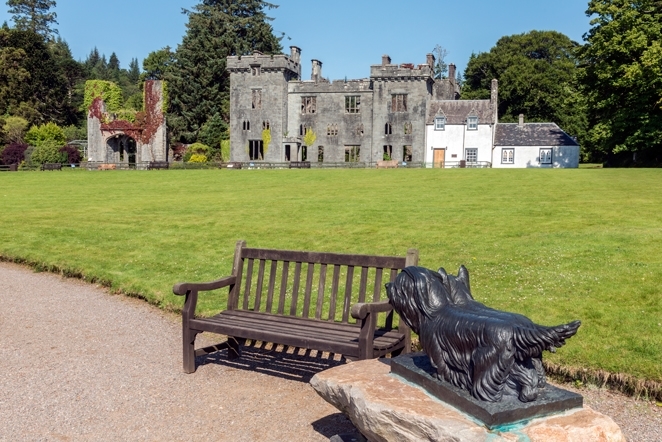 Armadale Castle, Gardens and Museum provides a wonderful starting point for your holiday. Set in 40 acres of beautifully landscaped gardens and woodland walks, our warm and comfortable lodges are perfectly situated, with magnificent views across the Sound of Sleat to the hills of Knoydart on the mainland. Two apartment suites are part of the historic building itself, in a beautifully refurbished Stables block that sits at the entrance to the Castle grounds. Armadale Castle, Gardens & Museum of the Isles are yours to enjoy for the duration of your stay, with free entry and a discount in shops and cafe. Our accommodation is available all year. There are six wooden lodges situated on the hillside next to Armadale Castle Gardens, enjoying magnificent views over the Sound of Sleat over to the hills of Knoydart. The lodges are warm, comfortable and equipped to the highest standard to ensure that your holiday in Skye is a home away from home. The accommodation consists of an open plan living room and dining kitchen, bathroom, double bedroom, twin bedded room and (depending on the lodge) a single or double bunk room ideal for children. A cot and high chair can be requested. One lodge is ramped and is suitable, with assistance, for people with wheelchairs. The Lodges come fully equipped with cooker, microwave, oven, fridge, freezer, dishwasher, washing machine, television with Freesat, Wi-Fi and CD player. Linen, towels and electricity are included in the price. Our two Suites offer elegant luxury in a wonderfully historic setting. Occupying the first floor of the beautifully refurbished Stables building, the Suites each comprise one double and one twin bedroom, bathroom, separate washroom and toilet, kitchen and an expansive living room that opens onto a private balcony. Each suite comes fully equipped with cooker, microwave, oven, fridge, freezer, dishwasher, washing machine, television with Freesat/ DVD, Wi-Fi and CD playerr. Linen, towels and electricity are included in the price.